BANGALPUR UNITED NABA KISHORE SANGHA is located in MECHEDA West Bengal . BANGALPUR UNITED NABA KISHORE SANGHA is registered as a Society at KOLKATA of state West Bengal with Ngo unique registration ID 'WB/2013/0065924' . 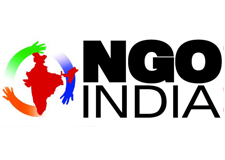 The NGO registration is done by Registrar of Societies with registration number S/99789 on the date of 20-08-2000, Its parent ORganaisation is PaulFoundation. The Chairman of BANGALPUR UNITED NABA KISHORE SANGHA is CHANDI CHARAN MAITI and Chief functionary officer is JAYDEV MAITI. Promoters are ARUP JANA, GOUTAM DAS, UTTAM DAS,. PUBLIC MEETING, HIV, PADAYATRA, PALSE POLIO,ETC.